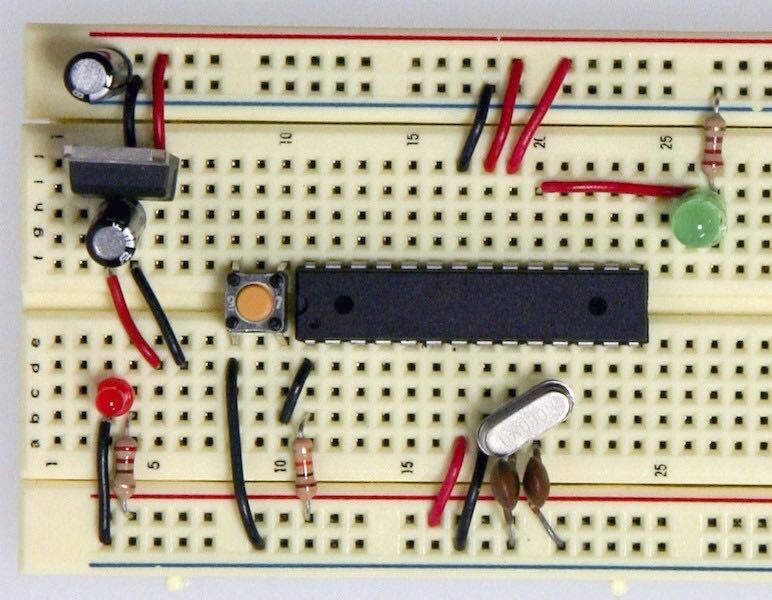 Save money and build the exact board you want with this Arduino clone board tutorial. Want to save money by making your own Arduino clone boards? Or want to make a custom board specifically for your needs, then this project is for you! 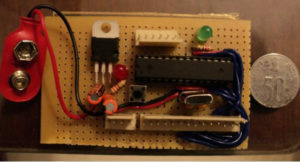 Make Arduino board from cheap electronic components available at your local store. Just follow these simple step by step instructions. Have fun with this DIY hacking tutorial! This step is for those who have a blank ATmega chip and want to upload the Arduino bootloader to it. Others who already have an Arduino boot loaded chip can ignore this step and merely insert their chip based on the schematic in the above step. You can either use another Arduino to bootload the blank chip or use an AVR pocket programmer. I will explain both the methods below. I personally prefer uploading the bootloader using this method as it works most of the time. You just need to buy an AVR pocket programmer. Once you have that, you will be able to burn the bootloader to various types of ATmega chips. Insert the blank chip to the socket of an Arduino board. Connect the programmer to the Arduino like in the diagram above. NOTE: Substitute the value for efuse, hfuse, and lfuse parameters after checking the boards.txt file and edit “m328p” in the below command to your chips name only if it is not an ATmega328 IC. Next, use the command below to upload the bootloader or your hex program file. Go to the path of your program file or bootloader (/hardware/arduino/bootloaders/atmega) from the command prompt or terminal and instead of “hexfilename.hex” substitute the name of your file. Now the file will be successfully uploaded to the ATmega chip. 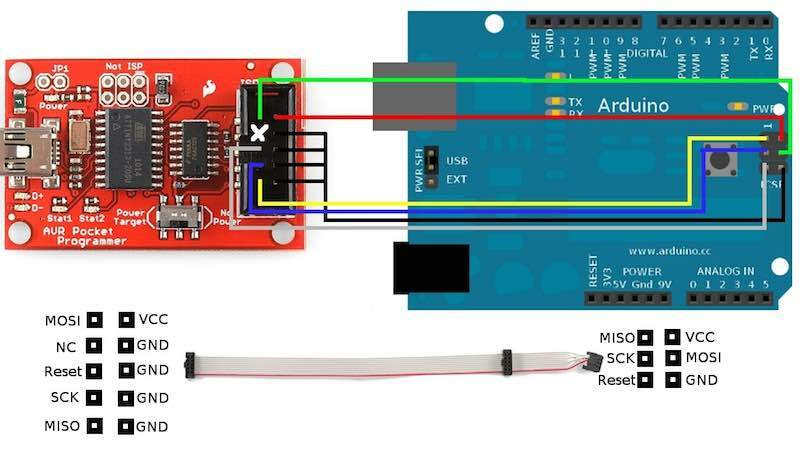 If you’re using another Arduino to bootload the chip, then make connections as per the diagram above. You will also need two Arduino boards for this: one will be a working Arduino board and in the other one the blank ATmega chip needs to be inserted. We will be using the ICSP (In Circuit Serial Programmer) pins on the Arduino for this. After making the connections shown, connect the working Arduino to your PC. Next, open the Arduino IDE and go to the tools menu; select burn bootloader and from its options click on with Arduino as ISP. Now, the chip will be boot loaded with Arduino. This method only works if you have the correct chip specified in the boards.txt file and works only rarely. That’s why I always prefer the first method. Now you have an Arduino board with an Arduino bootloader ATmega chip. 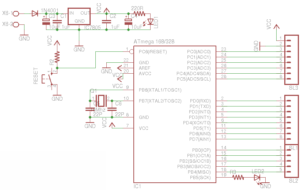 Now, use the Rx, Tx, and Gnd pins to connect to a USB-UART TTL converter which can be used to connect to your PC. Or just insert a chip that has been uploaded with the program (from an Arduino board) into this board’s socket.